In 1987, I was part of a group of dedicated artists hired to animate critters for the ABC weekend special Runaway Ralph. For one particularly successful sequence, director John Clark Matthews came up with the bold idea of shooting the stop-motion animation outdoors. The concept sounded crazy at first because the stop-motion process would exaggerate the changing sunlight, clouds, and wind blowing on the landscape. For “realistic” animation, filming outside should not work, but it did! The sequence in question involved Ralph the mouse running away from home and riding his motorcycle on the highway. Initial tests proved that if the camera shots were animated in large increments, necessary in order to follow Ralph’s motorcycle, the wind and changing sunlight would be imperceptible. John knew of a road in the nearby mountains that had been abandoned due to an avalanche. It was the perfect location because there would be no dangerous cars to interfere with the filming. For one week, John, cinematographer Jim Aupperle, animators Justin Kohn, Gail van der Merwe and yours truly (Joel Fletcher) would take a field trip from the studio. We drove as close as possible to the avalanche site, then hiked to the abandoned road with the equipment. The camera was set up on special rails, similar to railroad tracks, for smooth movement. 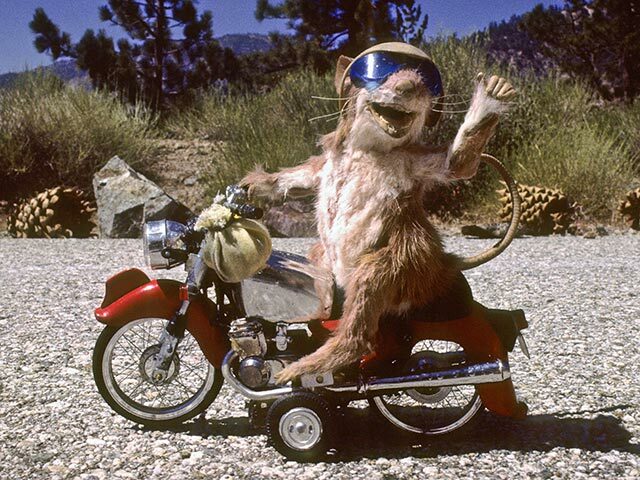 The mouse-on-motorcycle puppet was then animated as traveling on the road and singing a song while the camera followed. The close-up shots were animated on boards creating a smoother surface than the bumpy highway. We were able to simultaneously animate two shots since there were two identical Ralph-on-motorcycle puppets. While the shots were being animated, John filmed additional live action footage to intercut with the animation. This footage included shots of a radio-controlled version of the motorcycle as well as Ralph’s point of view. The Ralph S. Mouse highway sequence is one of the most memorable scenes from Runaway Ralph and a true testament to “old school” creativity.